Kitchen Stair and Glass Dog-Gate. 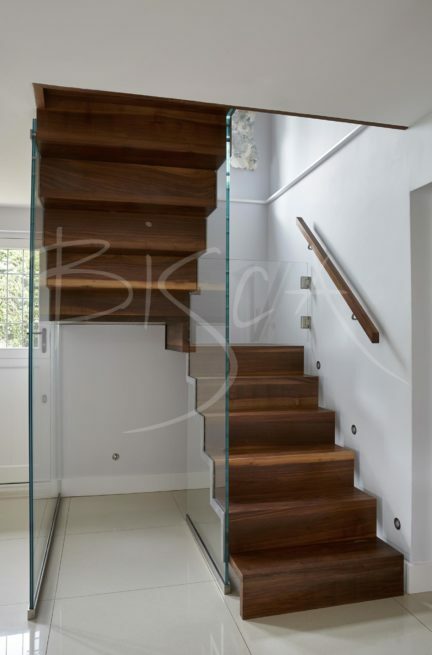 A kitchen stair of American walnut and low iron glass for a property in Hertfordshire. Our clients had just completed their dream kitchen but were unhappy with the staircase. The staircase was also a recent addition but of poor design and quality. 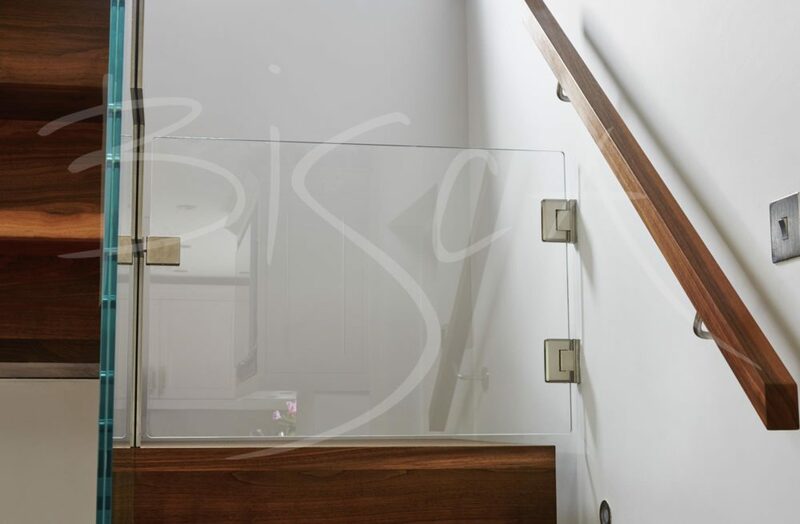 They contacted Bisca to design a feature staircase to replace the existing stair. Our design uses elements of stainless steel and walnut, reflecting materials in the kitchen. Continuous treads and risers form a zig-zag profile and supported by two glass walls. 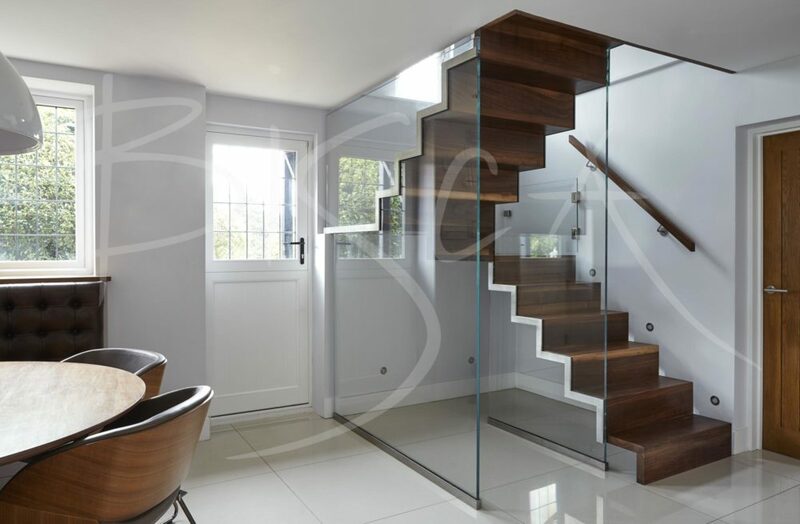 Stainless steel plates connect timber to glass, whilst reflecting the timber profile. We used low iron glass for best visual clarity for the balustrade. A glass dog-gate at the top of the first flight forms part of the balustrade design. 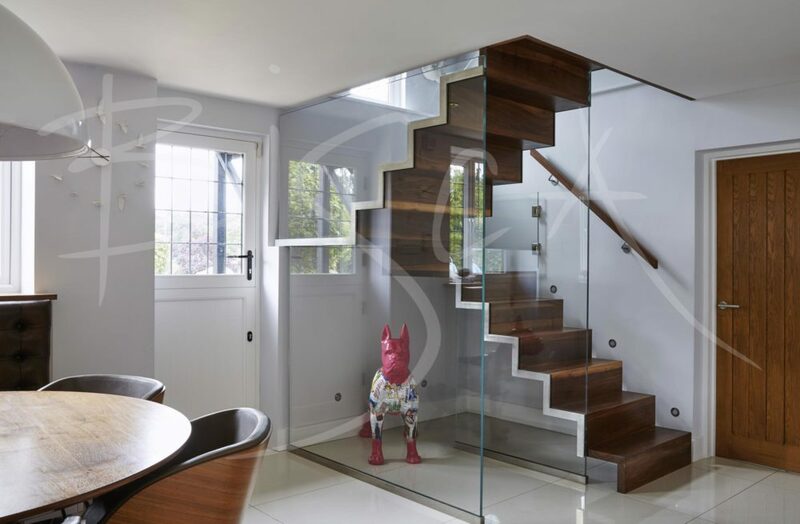 Dog gates and baby gates are only available as part of a balustrade design. For more information on this kitchen staircase, please quote reference 4190.